If you’ve been looking for something to help with adult acne, red skin, or just need a little extra hydration to combat dryness, then CBD skin care products may just be the answer you’re looking for. While most people associate CBD with pills, capsules, or oils, skin care products containing cannabidiol are all the rage. In fact, there are a number of celebrities who endorse these skin products. Included among them are actresses Mandy Moore and Olivia Wilde, as well as Victoria’s Secret model, Alessandra Ambrosio. Still, celebrity endorsements aside, you can’t help but wonder why cannabidiol is touted as a cure-all for adult skincare issues. The answer is actually rooted in science. Improves hydration, not only topically but on a cellular level. CBD oil is a natural anti-inflammatory. This is because it contains CB2 receptors, which are also found in a mammal’s immune system. When applied topically, these receptors stimulate a beneficial immune response which helps the body naturally fight inflammation. Inflammation is responsible for a lot of what goes wrong with the human body. This includes issues like dry skin, eczema, psoriasis, and other skin conditions. It is also what causes joint pain and swelling, which means that the same lotions you might use to combat dry skin could have the potential of alleviating (or at least lessening) joint pain. Double bonus! 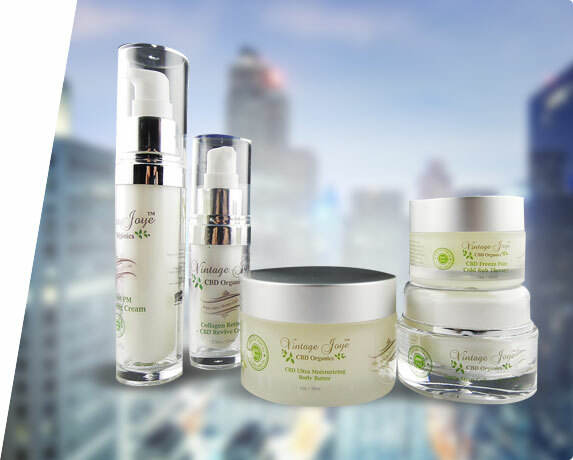 Of course, while the anti-inflammatory reaction produced by cannabidiol receptors are responsible for most of the benefits obtained by CBD-infused beauty products, there are additional benefits provided that really put these skincare products over the top. Primarily, cannabidiol is a natural source of essential fatty acids that are vital to keeping skin healthy and moisturized. These nutrients are both natural, and easily penetrate the top layers of skin to moisturize deep down. Often, skincare products containing CBD are combined with other natural ingredients that help your skin get the most possible benefit.